Stanley Kubrick’s technical prowess, ideas and creative genius will be discussed in a panel. Organized by the Istanbul Foundation for Culture and Arts (İKSV), the 38th Istanbul Film Festival will welcome movie buffs from April 5 to April 17. The festival offers a range of exciting film screenings and diverse events, including cinema conversations, talks with juries, a concert and exhibitions. 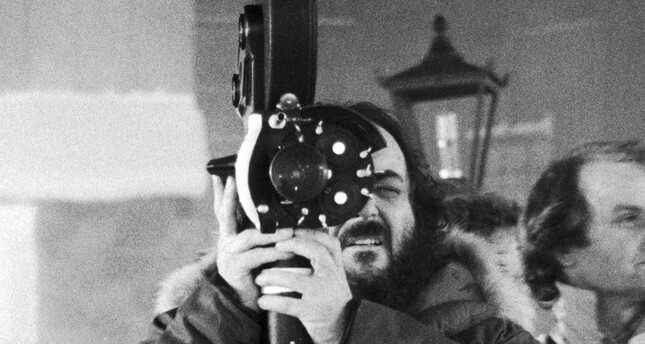 The Istanbul Film Festival this year will celebrate the talent and legacy of one of the world's most influential filmmakers, Stanley Kubrick, on the 20th anniversary of his death. The festival will present his complete feature-length filmography. From his first feature "Fear and Desire," of which he tried to stop the distribution, to "Eyes Wide Shut," his last film before his untimely death. All his 13 feature-length films will be screened as part of the retrospective. A source of inspiration for many contemporary filmmakers, Kubrick made his mark on cinema history as a master director. He is well known for his meticulousness, sternness on set, perfectionism, uncompromising creative command, originality and the importance he placed on technological developments - all of which have resulted in spectacular movies. His technical prowess, ideas and creative genius will be discussed at a panel moderated by Ali Deniz Şensöz and panelists Kutlukhan Kutlu, Ahmet Rıfat Şungar and Natali Yeres on April 12 at 4 p.m. at Boğaziçi University's Mithat Alam Film Center Cinema Hall. What is a good festival anyway? In the audiovisual universe, viewing and exhibition practices, forms, and perceptions have swiftly changed and are changing due to technological advances, the internet, data storage and transfer. This transformation has affected all parties in the film industry including the viewers. Then, how does this transformation process in production and distribution influence film festivals today? What future awaits festivals? A member of the consultative committee of the festival, film critic Engin Ertan will moderate the discussion on the axis of answering "What's a Good Festival, Anyway?" together with Anna Hoffmann, the Berlinale Forum program manager and jury member for the festival, Berlinale European Film Market Director Matthijs Wouter Knol, who is also a jury member, Istanbul Film Festival Director Kerem Ayan and the head of Meetings on the Bridge, Gülin Üstün. It will be held at Yapı Kredi Culture and Art Building on İstiklal Avenue on April 14 at 2 p.m. and will be free of charge. Lynne Ramsay's latest film "You Were Never Really Here," starring Joaquin Phoenix, premiered at Cannes 2017. It won "Best Screenplay" and Phoenix won the "Best Actor" award. The multi-awarded "We Need to Talk About Kevin" was the only British film nominated for the Palm d'Or in the official competition in 2011 at Cannes. Her debut feature "Ratcatcher" will be screened at the festival on April 14 at 1:30 p.m. At this festival talk with academic and film critic Melis Behlil, Istanbul Film Festival's International Competition jury president Lynne Ramsay will talk about her career path, film language, the digital age, and the #timesup and #metoo movements at Boğaziçi University on April 11 at 7 p.m.
A jury member of the National Competition this year, Andreas Sinanos has worked with many esteemed directors including Özcan Alper, Semih Kaplanoğlu, Tayfun Pirselimoğlu from Turkey; Vassiliki Iliopoulou, Yiannis Diamantopoulos, Christos Vacalopoulos, Nikos Cornelius, and Lefteris Xanthopoulos from Greece, and foremost with Theo Angelopoulos in eight of his films as director of photography. At this festival talk, Sinanos, together with academic and writer Aslı Selçuk, will share his views on his art, tips on cinematography and his relation with the great master Angelopoulos. It will be held at the Yapı Kredi Culture Art Building on İstiklal Avenue on April 15 at 4 p.m. The event will be open for all. In this exhibition organized on the sideline of the Istanbul Film Festival, Istanbul Concept Gallery will introduce a selection of new artworks of a filmmaker, which lean on his literature-infused outlook on the outside world and observational power. The exhibition presents 65 carefully selected photos taken by film director, screenwriter Ümit Ünal, who is also the jury president of the Istanbul Film Festival, since 2012. All the images were captured with the camera on his personal smartphone, some instants from his journeys, some long haul, some short; some images are snapshots of daily yet curious observations, along with others that verge on abstract paintings. The exhibition also includes nine examples of Ünal's portraiture photography. The selection promises his instantly recognizable visual aesthetics to those who are familiar with Ünal's films, books and paintings while a brand-new world will welcome fans and newcomers alike. It will be on until April 20 and will be free of charge for visitors.